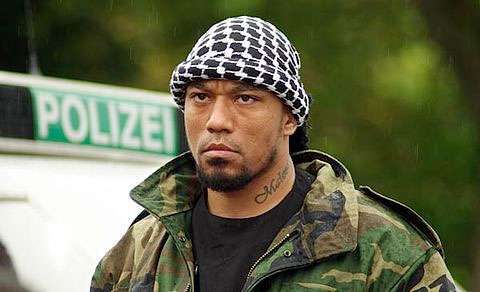 Former German rapper Deso Dogg, real name Denis Cuspert, who had become an ISIS fighter, has been killed by a US air strike in Syria, defense officials have confirmed. Denis Cuspert had been designated a global terrorist by the US State Department and had threatened President Barack Obama. Officials said Denis Cuspert, who encouraged Muslims to work for ISIS, was killed in an October 16 air strike near Raqqa. He used the stage name “Deso Dogg” before converting to Islam in 2010. “Cuspert is emblematic of the type of foreign recruit IS seeks for its ranks – individuals who have engaged in criminal activity in their home countries who then travel to Iraq and Syria to commit far worse crimes,” the State Department wrote of Denis Cuspert in February. A spokesman for Germany’s Interior Ministry would not confirm or deny his death. In April 2014 Denis Cuspert was reported to have been killed in Syria but that claim was later retracted. Denis Cuspert, whose rap career ended before he starting working for ISIS, would use social media to attract youth and Westerners, especially Germans, to the group. He left his music career behind in 2010. Previously, he had toured with American rapper DMX in 2006, the New York Times reported. In Germany, Denis Cuspert became popular for singing nasheeds – Islamic devotional music – in German.